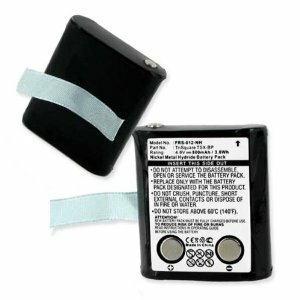 Home > FRS batteries > FRS-012-NH: 4.8 volt 800mAh rechargeable NiMH battery for TriSquare TSX100, TSX300 FRS radios. Re-charges with original OEM chargers. Replaces original battery # TSX-BP.